 It is the first concept store of its kind in the Philippines, wait, make that the whole of Southeast Asia. Its a basketball retail shop with a barbershop. Yup. It is every heterosexual male’s call to shopping and grooming, minus the frills and extras you may find in your local sports shops. It is a basketball sanctuary where men could be men while talking, living and breathing the hoop culture. Once upon a time I saw this concept only in paper. 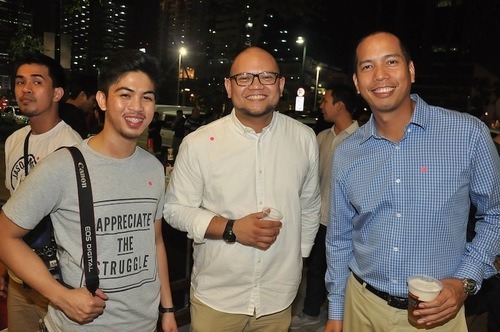 My best friend’s husband, Raoul Reinoso had just left his job in a retail sports company and wanted to venture out on his own, when he met a couple of like-minded people who were as obsessed with basketball as he was (Philippine basketball legend Jeffrey Cariaso was one of them). An idea was born, and they couldn’t wait to get started on it. As it was explained to me prior to its opening, Titan was to have the best, most exclusive basketball footwear releases in the market. If it was a hard-to-find, limited-edition pair then it would most likely be found in the store (until of course, it is snapped up by collectors and enthusiasts). Its barbershops are supposed to be the best of its kind, as their able barbers provide fresh and modern cuts to its clients, while still maintaining its old world appeal. Of course, for common folk like myself, it was confusing how a basketball store could co-exist with a barbershop, but I knew it would be something cool and different. When its first store opened in 2010, it all made sense. Seeing it all come to life, I finally understood what Titan meant to its unique clientele. Titan promoted a lifestyle that helped fuel the local basketball and sneaker communities, it is a place where basketball players and fans could feel right at home. 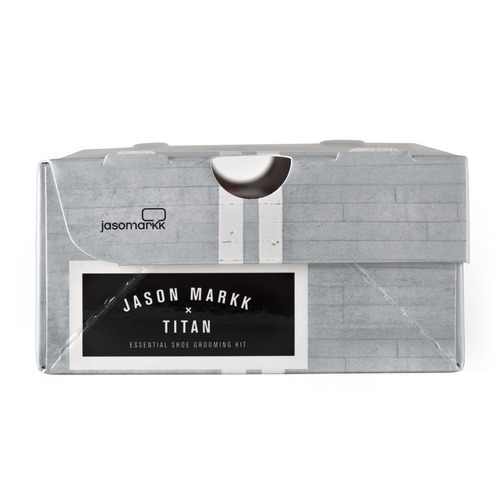 Two years and five branches later, Titan releases a limited edition ‘Essential Shoe Grooming Kit’ in collaboration with Premium Shoe Cleaner manufacturer Jason Markk. Contents of the kit include a bottle of 4 oz. 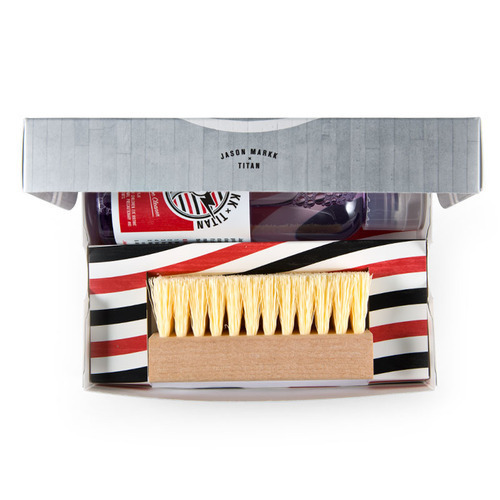 Premium Shoe Cleaner and a handcrafted Standard Cleaning Brush with laser-etched logos on handle, all packaged in a signature Jason Markk mini sneaker box. 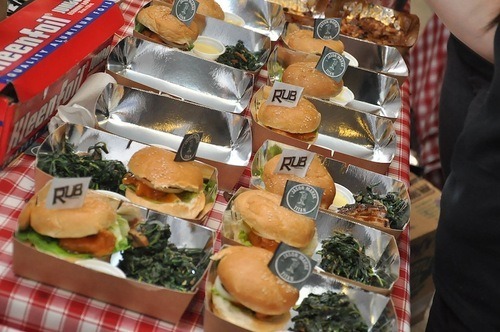 Each kit retails for PHP1,250. 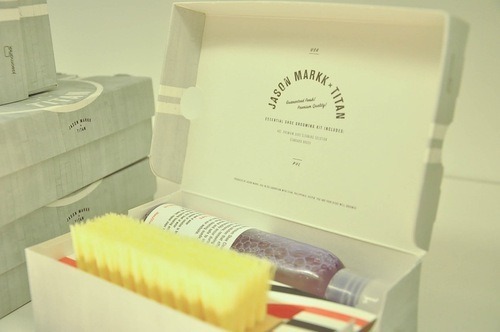 A limited amount of kits will also be available in the Jason Markk online shop. The official release party happened last week at the new Titan 2 Packade. 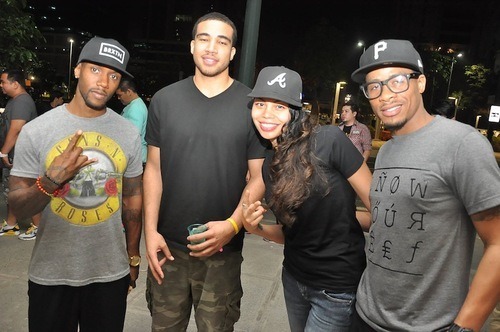 It was hosted by Titan and Solemovement.com. 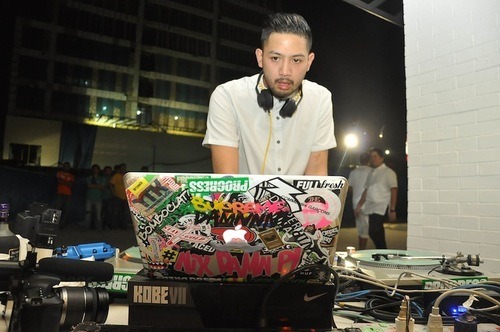 At the event was a Jason Markk pop-up shoe cleaning booth, music by Nix Damn P! 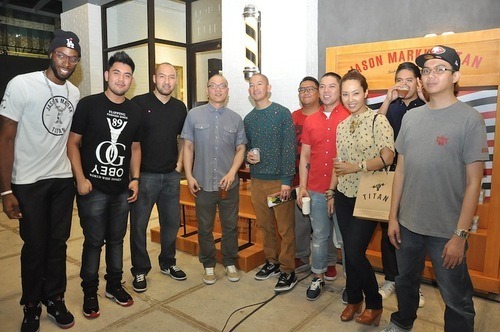 and a meet-and-greet with Jason Markk himself. Titan also sold commemorative limited edition t-shirts that night to coincide with the release of the kit. 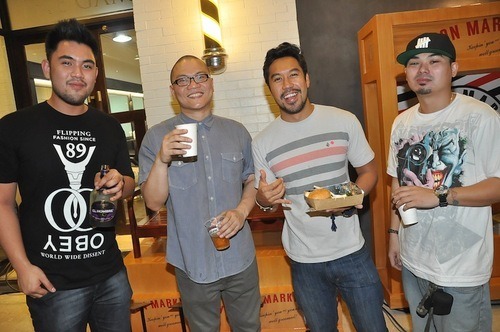 There’s Martin David of Solemovement.com, Vito Lazatin of TV5 with their friend (in grey). 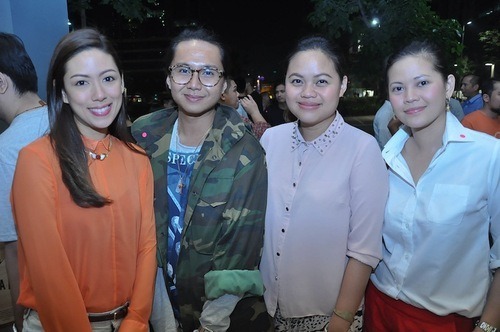 Eloise Alba, Geo Custodio, Chalk’s fashion editor Bianca Santiago-Reinoso and Meryll Chavez. Magic 89.9’s DJ Mia and Kingcrux. 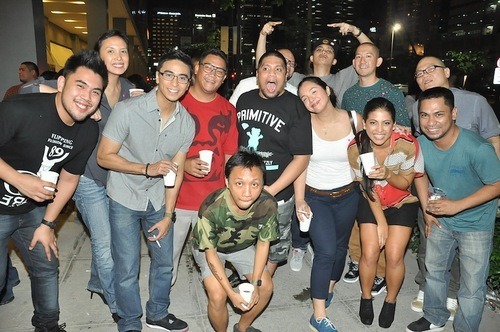 Magic 89.9’s DJ Suzy (Far Right) with her buddies. Raoul Reinoso, Malaya Pasion and friend. 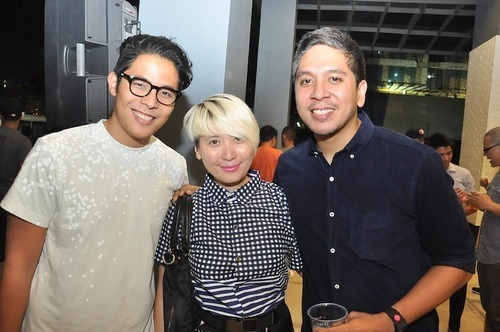 Mano Lotho, Preview Fashion Editor Daryl Chang and Raoul Reinoso. 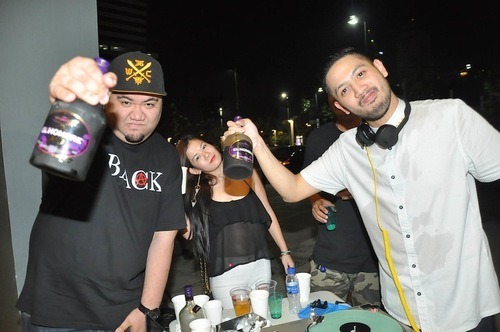 Styles MC Paolo Avila and DJ Nix Damn P serving El Hombre XO. 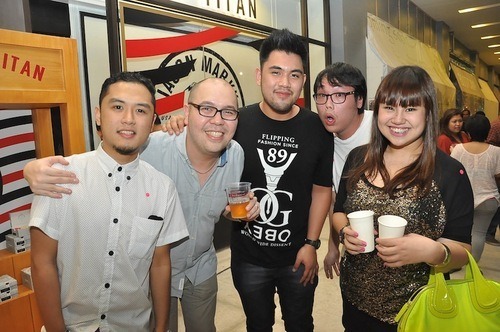 Titan’s Migs Rocha, Dennis Tan, WIP Cap’s Ian Sermonia and friend. 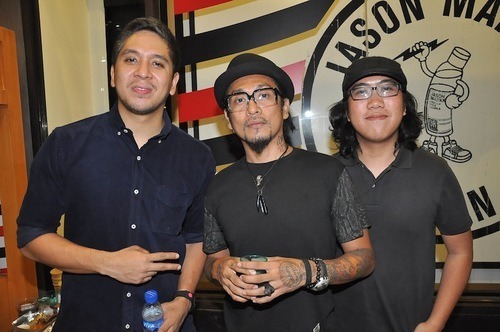 DJ Boom Gonzalez together with friends.